The Association is currently upgrading its email software/service. This will allow us to better serve and distribute the Beeline and other notices to members. 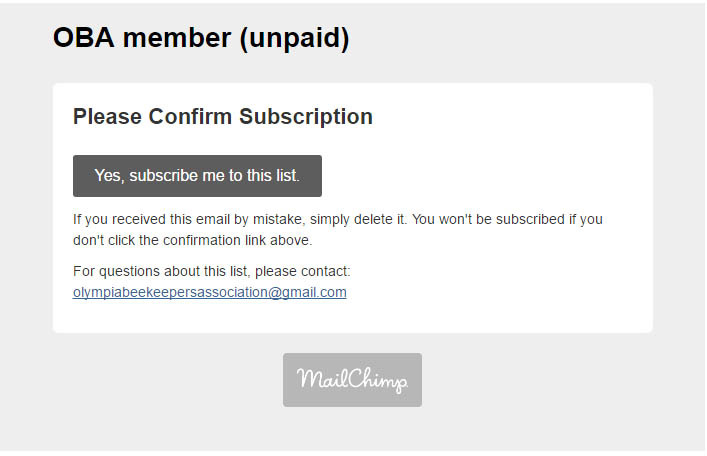 You may get an automated message to "Subscribe" or for a "Subscription" to this service (powered by MailChimp). Previous Previous post: Mite Busters! How to avoid colony loss this winter.